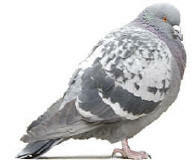 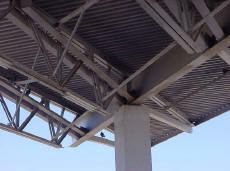 Open shade structures offer lots of roosting and nesting locations and are ideal for pigeons and other nuisance types of birds. 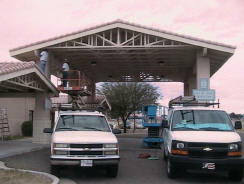 The 2 different types of structures below offer a good example of how the work looks after we finish. 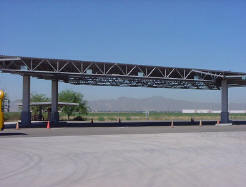 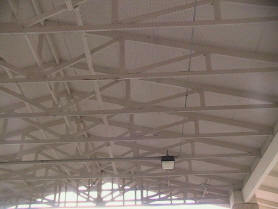 The first structure is an open beam steel truss structure and the second is a wooden truss structure. 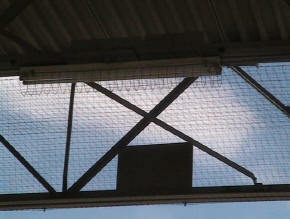 Open steel beam structure was pressured washed and then using 2" square black pigeon net to close off the sides and underside. 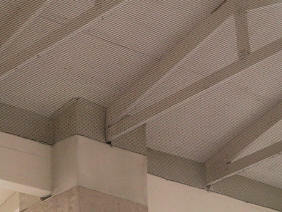 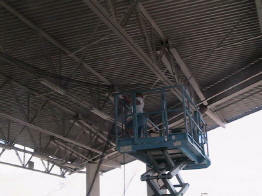 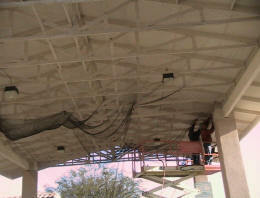 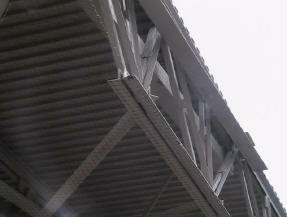 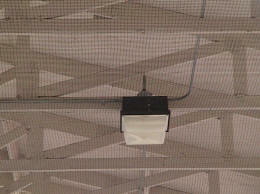 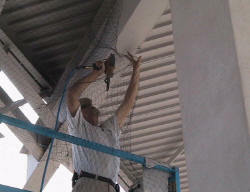 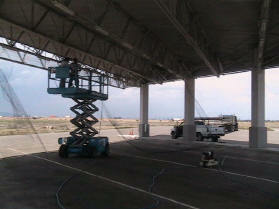 We used girder clips hammered onto the steel trusses and then attached a cable support system to hold up the netting. 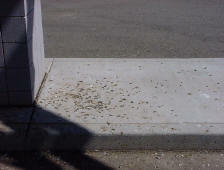 Pigeons and Sparrows were nesting. 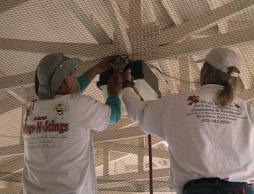 Open wooden beam structure was netted on the front and back face and along the underside of the wooden trusses using black 3/4" netting. 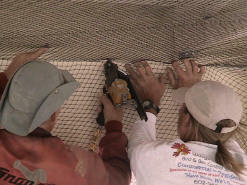 Stainless steel lags screws were used to hold the cable to the walls and net was attached to the cable.